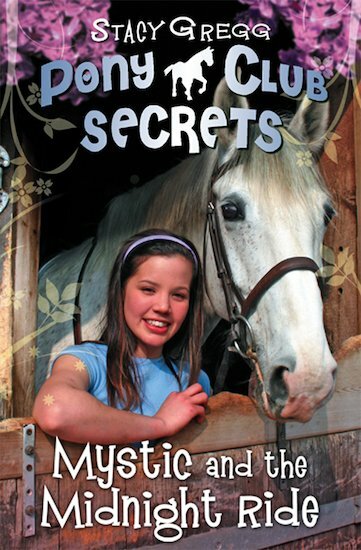 First in a fresh, fast-paced new series all about gorgeous ponies and their human friends! Issie LOVES horses. She spends all her free time at the Chevalier Point Pony Club, where she looks after her pony Mystic, trains for gymkhanas and hangs out with her best friends. But when Issie is asked to train Blaze, an abandoned pony, her skills are put to the test. Blaze is wild, spirited and damaged. Is he simply too much for one girl to handle? And is he really out of danger yet? I absolutely love this book I am always reading it and I still never get bored of it !!! It is so exciting because she is always getting into adventures. I would recommend this book to any one!!!!!!!!!!!!!!!!!!!!!!!! I liked this book. It was a quick refreshing read. Very different from your average pony club book. I love these! i have read them so many times but i never get bored!! it is sad at the beginning but after it is fantastic!!! Totally a great book!!!! I would recommend it to anyone!!!! !